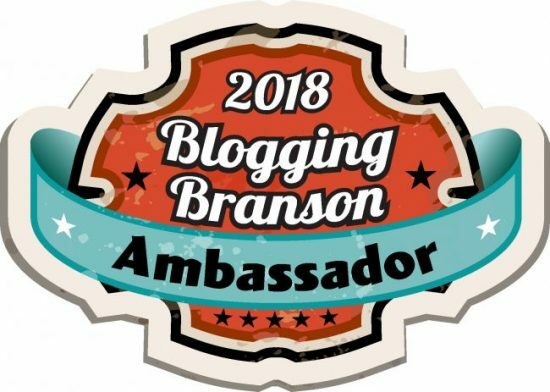 Disclosure: This post is part of an invitation from the Stone Castle Hotel, to attend the #BloggingBranson Event in exchange for my coverage. However, all opinions are 100% mine. 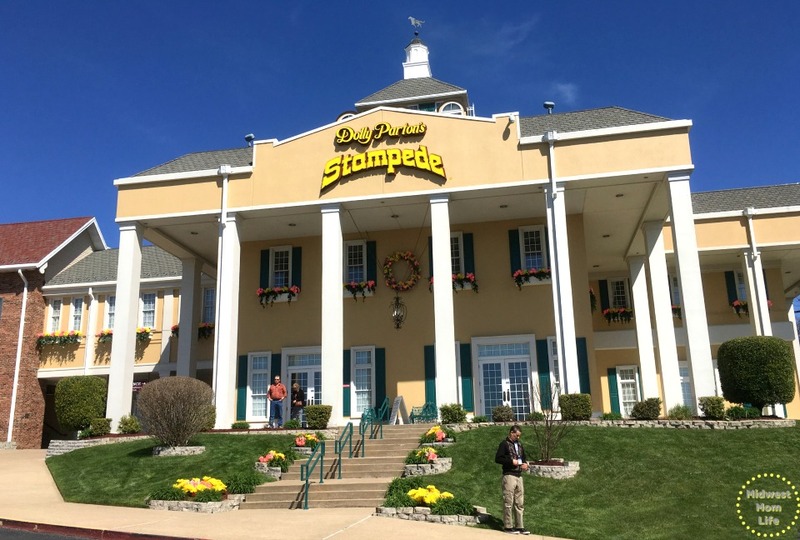 There’s another fabulous place to dine in Branson, MO and that’s Dolly Parton’s Stampede. 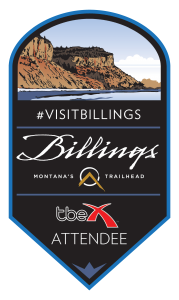 This location is truly a once in a lifetime experience. When you enter the restaurant, you’ll notice that there is a dimensional LED wall that is comprised of 12.5 million lights. 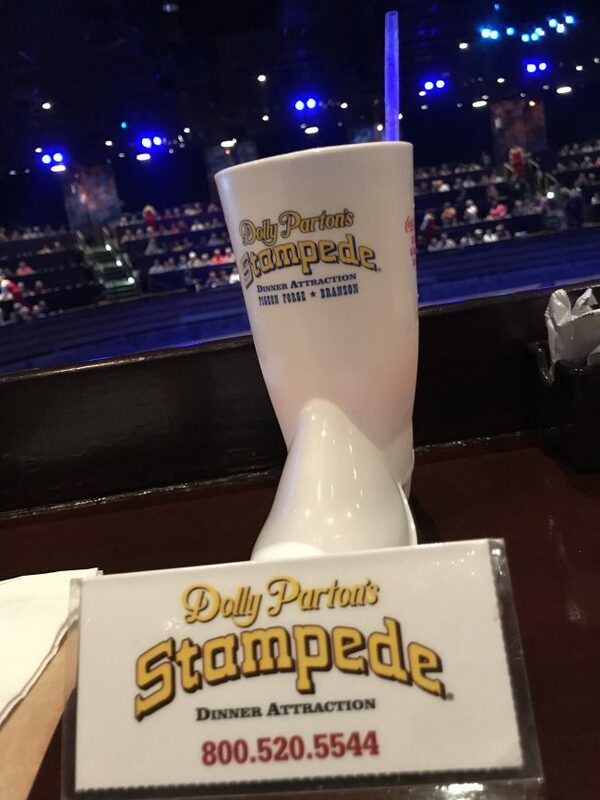 This really brings the show to life as you dine at Dolly Parton’s Stampede! 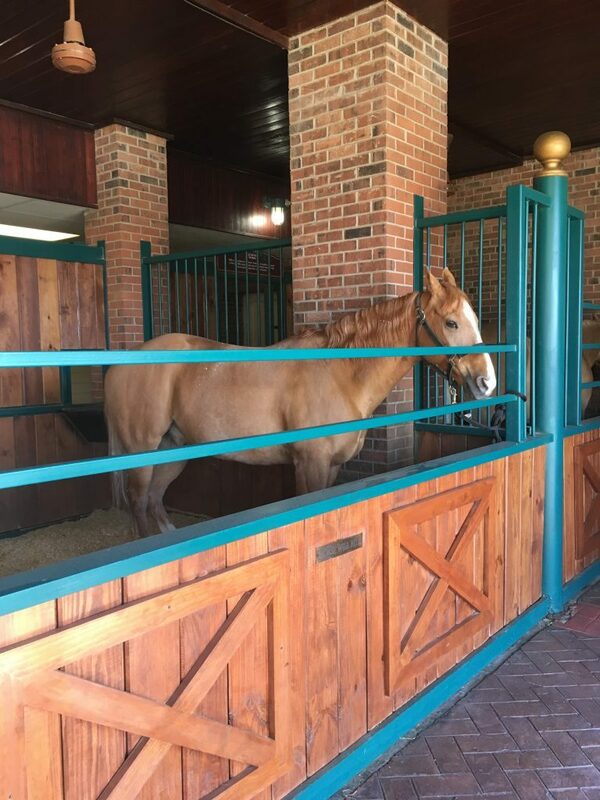 Upon arrival at Dolly Parton’s Stampede, you’ll have to pause to get some photos taken with the famous show’s residents and the cast of animals. They are right there for everyone to enjoy if you’re lucky you may even get to have your photo taken with a Southern Belle. You’ll immediately feel as if you’re being transported back in time. 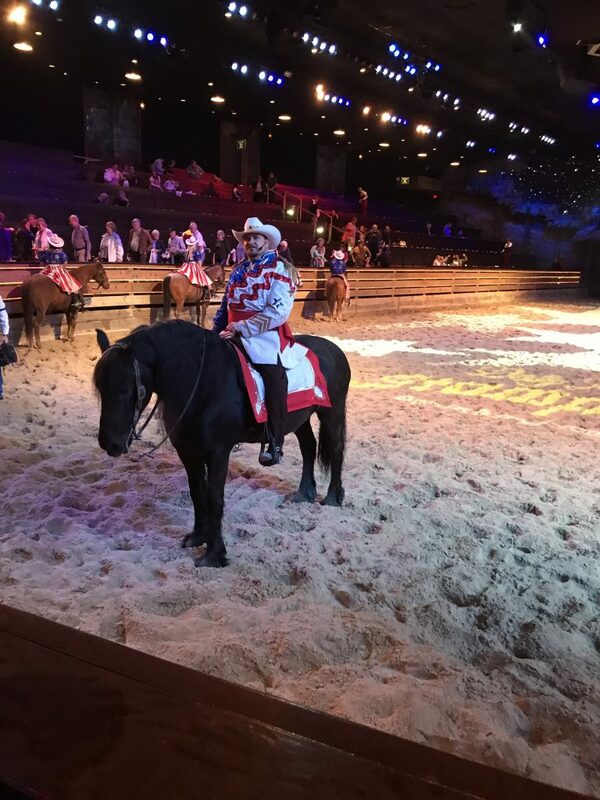 I was amazed at how put together the show is at Dolly Parton’s Stampede. You’ll witness piglets and puppies everywhere. 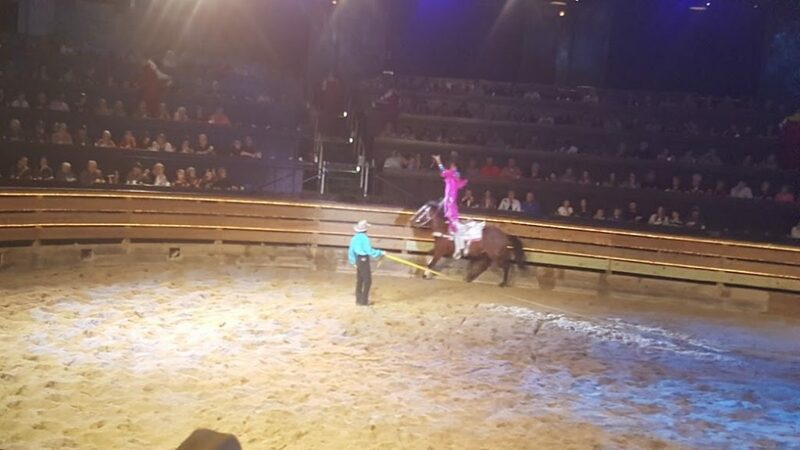 The amazingly talented cast performs the feat of jumping through flaming hoops, balancing on horses and even people dancing while hanging from a cord on the ceiling. This was truly something out of this world. The piglet races are super cute and one thing that appealed to me is that all of the dogs you’ll witness are rescue pups. 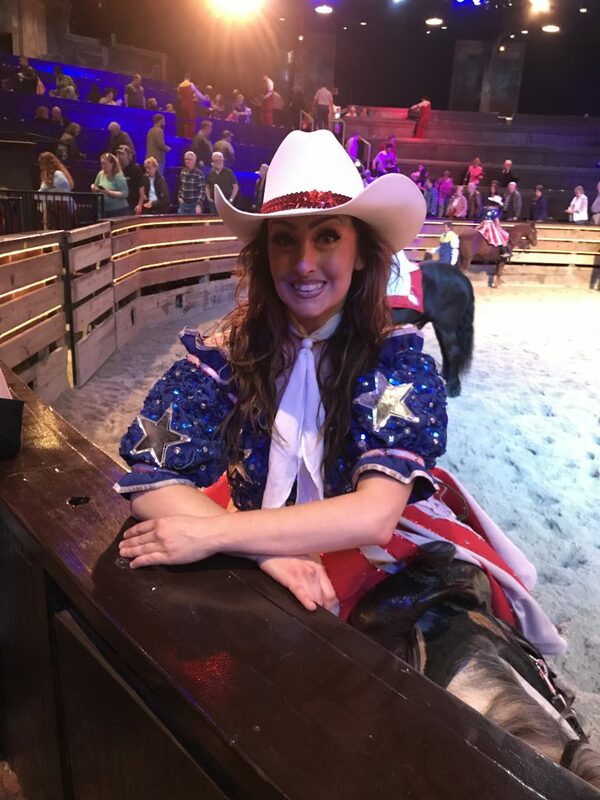 Between the specially trained dogs that put on a show that includes Fly-Ball racing and agility competitions, you’ll really be inspired by the talent of both animals and people while dining at Dolly Parton’s Stampede. You’ll want to arrive early so that you can enjoy the pre-show, as the seats fill up quickly. One of the neatest things is the souvenir boot that you can purchase to have filled up with a drink. The Carriage Room Opening Act begins 50 minutes before the show, a good tip to know so that you can enjoy the full experience at Dolly Parton’s Stampede. 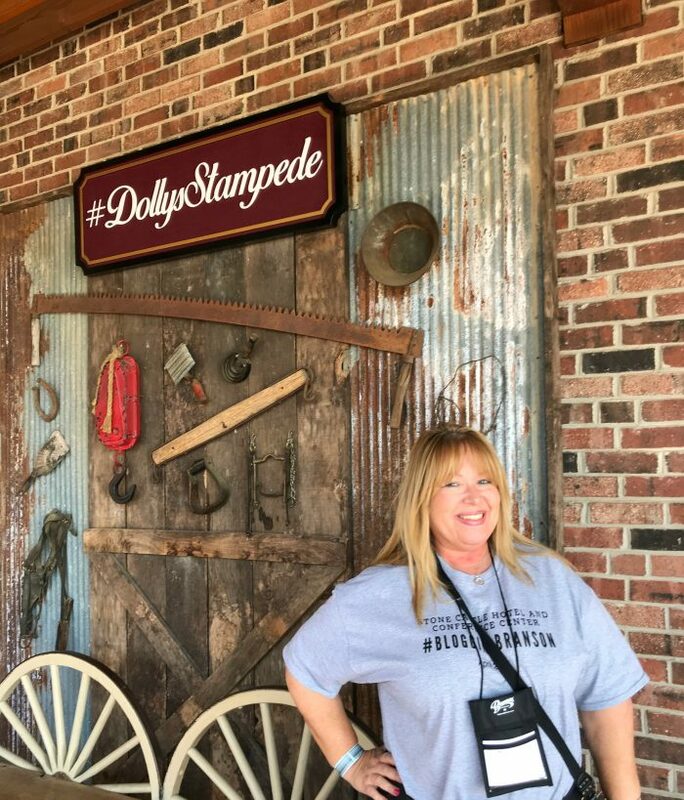 When you purchase a ticket for Dolly Parton’s Stampede it will include a full course feast, general admission, and the entertaining show I just talked about. If you have any food restrictions, there’s nothing to worry about, they do offer gluten-free and vegetarian meals upon request. One of my favorite things about Dolly Partons Stampede is the food! 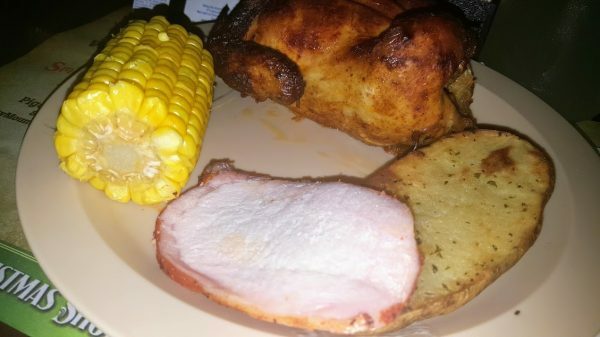 I love the item of not using utensils and there’s always plenty of food for everyone!